Conventional wisdom is that a musician will almost NEVER ask for LESS of anything in their monitor mix; it’s always more guitar, more of my vocal, more this, more that. Good engineers know that, in most cases, what the musician is REALLY saying is “I can’t hear my vocal.” Or the guitar or whatever. Turning elements in the mix DOWN rather than up—mixing by subtraction—is an important technique to keeping your mix sounding good and keeping your overall volume under control. 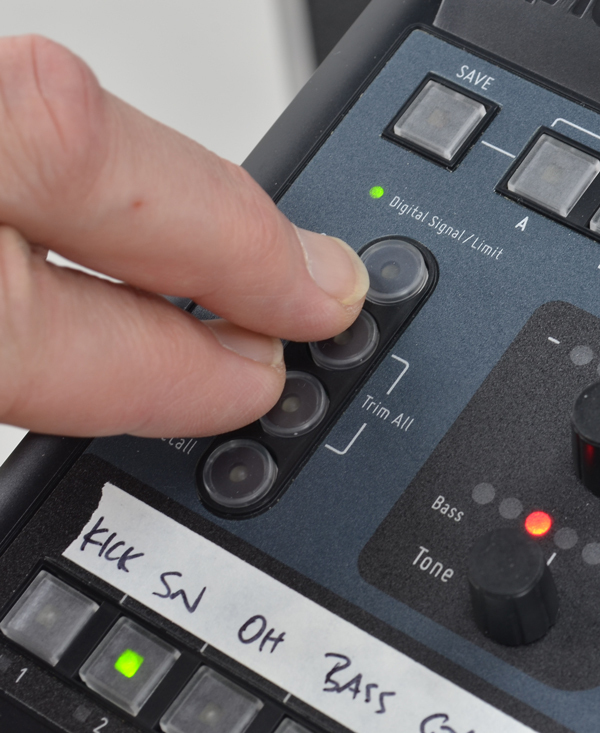 With digital mixers, it’s also important for maintaining good signal-to-noise ratio. 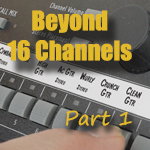 By reducing the volumes for channels 1-4 and 6-8, channel 5 can be brought forward in the mix without any additional volume. 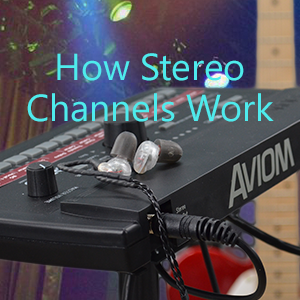 Aviom Personal Mixers have a mixing shortcut designed for exactly this: musicians don’t have time to go through their whole mixer and bring every channel down one by one. And even if they had time, doing so would likely change the mix. The Global Trim function reduces all channel volumes at once, maintaining relative volumes and allowing the musician to stay focused on their music. On the A-16II and A360, pressing Group and Mute simultaneously lowers all channels by small amount. Note the (Trim) label adjacent to these buttons on the A-16II (the A360 label reads Trim All). On the A320, pressing the Solo and Mute buttons together performs this same function. Using Global Trim one or more times gives you the room in the digital mix engine to then raise the channel you wanted to hear better. 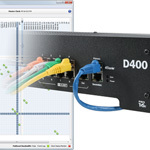 All digital-to-analog converters (D/As) have a fixed clip point and a fixed noise floor, so to get the best sound out of them, you want to send as much digital signal as possible before reaching the clip point. (Stay tuned for more on this in a future Audio Lab post!) Aviom Personal Mixers are designed so that, in normal operation, the output of the digital mix engine going to the D/A will produce a good signal-to-noise ratio (S/N) and a good sounding mix. There are times, however, when keeping an eye on digital signal level makes some sense, and Global Trim is a useful tool there. Because Global Trim adjusts digital levels not analog levels, using Global Trim will reduce the signal level going to the D/A. If your mix is hitting the clip point of the D/A, using Global Trim (and then turning up the analog volume) will improve the sound quality without changing the mix. The A360 includes a digital level meter (a green/red LED labeled “Digital Signal/Limit”) to help musicians keep an eye out for clip points. The A360 also has a subtle compressor on the digital side, so you don’t need to worry about every clip—the compressor will gently keep the mix from actually clipping the D/A—but if you’re seeing a lot of clips indicated by the red LED, you should hit the Global Trim a few times and turn up the volume on the analog side. This will give you the same volume in your ears but a better S/N ratio in your mix and will keep the compressor out of the signal. Mixing by subtraction is an important technique to keep in mind, and Global Trim makes subtracting as easy as adding.